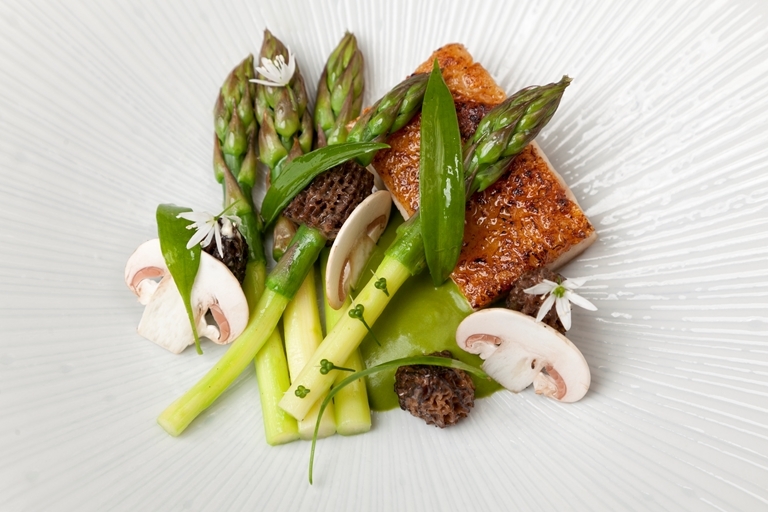 Seasonal, springtime ingredients are combined sumptuously in this chicken with wild garlic recipe from Colin McGurran. The raw mushroom garnish may not be to everyone's taste but helps to accentuate the earthy nature of the dish. Asparagus is a great addition to this dish. If you're looking for more ways to use asparagus in your cooking, browse through our collection of asparagus recipes.